Documents 5 by Readdle is a complete redesign of the well-know file manager for iOS, Documents by Readdle. The main new features are the new design in iOS 7 flat style, the optimised file manager with drag&drop and add-ons for integration other Readdle apps (for iPad only) like PDF Expert 5 for iPad, Scanner Pro, Printer Pro for iPad and PDF Converter for iPad. The support of Windows shares (SMB) to access computer (Windows PC, Mac) and Apple’s Time Capsule have already been added with Documents 4.4. 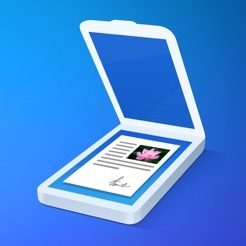 Clean, flat and razor-sharp design, applied iOS 7 design philosophy to Documents 5. New file manager: Documents 5 works with PDF files that are stored on the iPad and iPhone. Drag & Drop Files, anywhere: Move files and folders with your finger to any destination: to the parent folder, to sub folders, combine with other files to create a separate folder. You can even drag the files directly to Dropbox or iCloud to upload them to your accounts. Note: Drag&drop files works only from the local drive ‘Documents’! a sidebar for instant, one-tap access. This will speed up your ability to access most-used files. now comes to the iPad and iPhone. Prioritize or simply give your documents a unique look. Background Downloads: Downloading documents from online services like Dropbox now works in the background. Those who need a full-featured downloads manager now have it in Documents 5.
and sync files between your iPad or iPhone and PC. Add-ons: Add-ons are features and applications deeply integrated with Documents that extend its capabilities. They allow you to sign documents and fill in forms, print files and convert them to PDF and even scan paper documents. Note: Add-ons are only available on iPad! Annotation: Further apps by Readdle…. If you want to copy or moving files between different drives, you need to do the detour via copying to local folders and after that for ‘moving’, delete the file on its origin. Documents 5 is able to sync folders and files bi-directional between connected services and the local folder ‘Documents’. Documents 5 for iPhone and iPad is an another strong alternative to file manager and FTP apps like Cloud Commander for iOS, FileExplorer, GoodReader, iStorage or FileBrowser. The plus of Documents 5 is the sync option and the SMB support for Mac and Time Capsule. The minus is the moving option which does not allow to move files between your different file storages. You need to do the detour via copying the file and after that, deleting the file on its origin. Therefore, Cloud Commander for iOS is still my favourite file manager and FTP app for iPhone and iPad.